A wide range of local services, including a brand new primary school ( opening September 2019 ), will be available to residents and the new community will be served with excellent public transport links. PROPERTY Built by Bovis Homes in 2015 the property has been well cared for and still benefits from the remainder of its 10 year NHBC warranty. 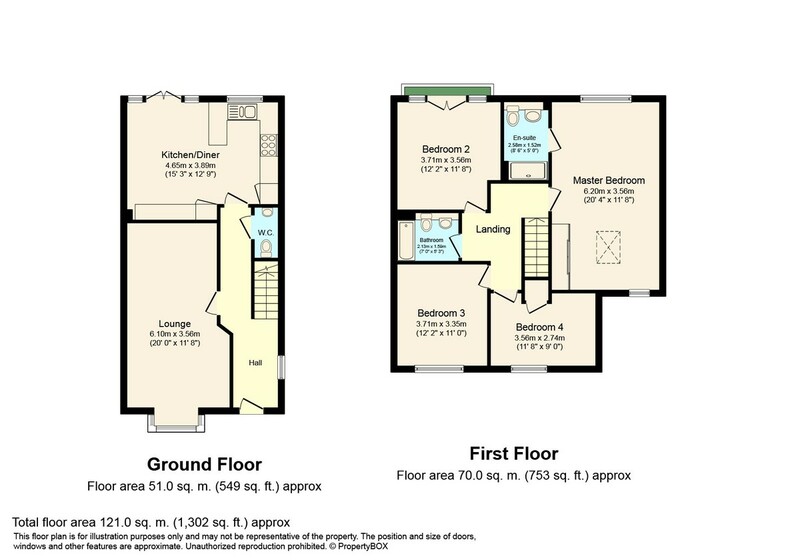 This property is perfect for those buyers looking for plentiful bedroom space, all four bedrooms are great size doubles giving your family all the space they need. On the ground floor there is a handy cloakroom just off the entrance hall that leads into the amazing lounge with its attractive bay window. The kitchen/diner is a similar size and is well equipped, modern and contemporary in design. The first floor offers a master bedroom has a double built in wardrobe as well as its own ensuite shower room, there are a further three double bedrooms and a refitted family bathroom suite. OUTSIDE Externally there is an attached garage to the side with front and rear access, driveway / covered car port providing parking for three cars, rear garden mainly laid to lawn with patio area and front garden.